Berlin was a destination of desire to Franz Kafka, for all his life, a glorious place – utterly out of reach. He associated the city with contemporary literature, with Felice Bauer, his first fiancée, with his desire to escape Prague – and the yearning to lead a life beyond his family and the pressure of office-work. Finally one year before he died from tuberculosis, he was happy to get there, together with Dora Diamant, an extraordinary young woman, he had met at the Baltic Sea in summer 1923. Our walk is focused on this last period of his life. We have the immense pleasure to look at the house (from outside) where he lived in winter 1923/24 and to stand near the place in Muthesiusstraße where he wrote “A Little Woman”, a literary “monument” for his nasty landlady. 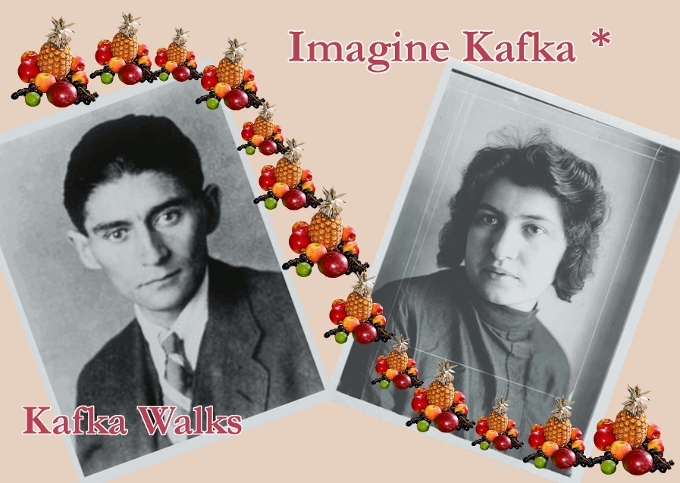 For me there is still a Kafka-Feeling in these streets and I	‘d like to share it with my guests.